Can I get heated seats? Do I have to get a sunroof? 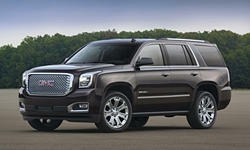 Find out what you need to know about GMC features right here. Driver inboard seat-mounted side-impact airbagPrevents driver and front seat passenger from colliding if the vehicle is hit from the side. Prevents driver and front seat passenger from colliding if the vehicle is hit from the side. None of our members have yet commented on the available features of the 2019 GMC .